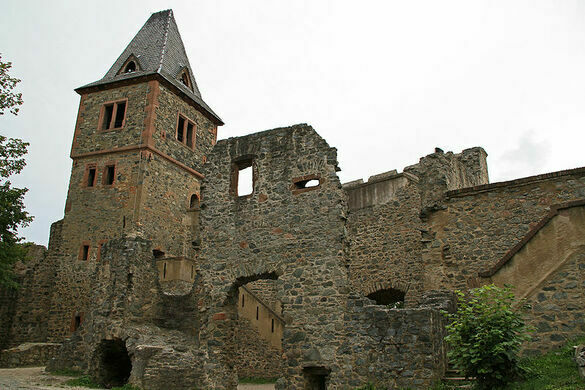 The Castle Frankenstein is now in ruins, with only two towers, a restaurant and a chapel remaining. However, the perhaps mythical connection to Mary Shelley’s novel “Frankenstein” keeps it a popular destination, especially for Halloween. 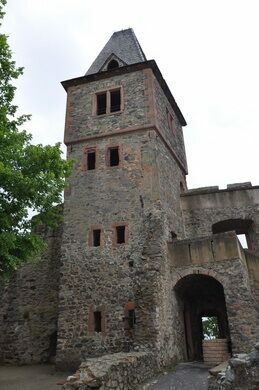 A popular annual party was started there by American soldiers stationed near the castle in World War II. 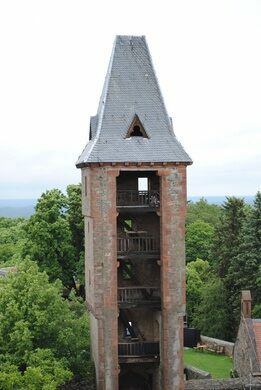 Until it was deactivated in 2008, the US Army’s 233rd Base Support Battalion in Darmstadt conducted an annual Frankenstein Castle run which finished at the tower. 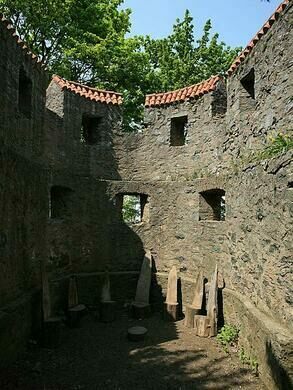 The castle was featured in an episode of “Ghost Hunters International” which aired in February of 2008. 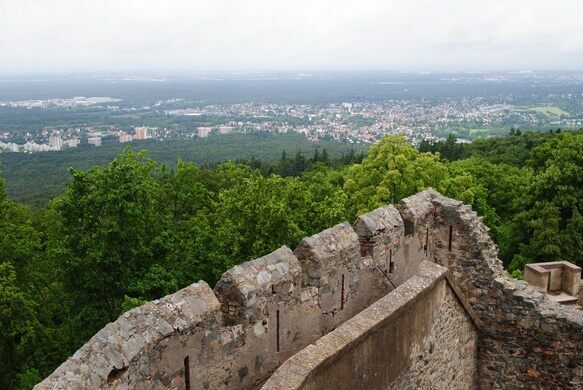 Leave Autobahn A5 at Pfungstadt Eberstadt and follow the castle signs.